That is a beauty and by a carver I really like. It is going to go for a pretty penny though. 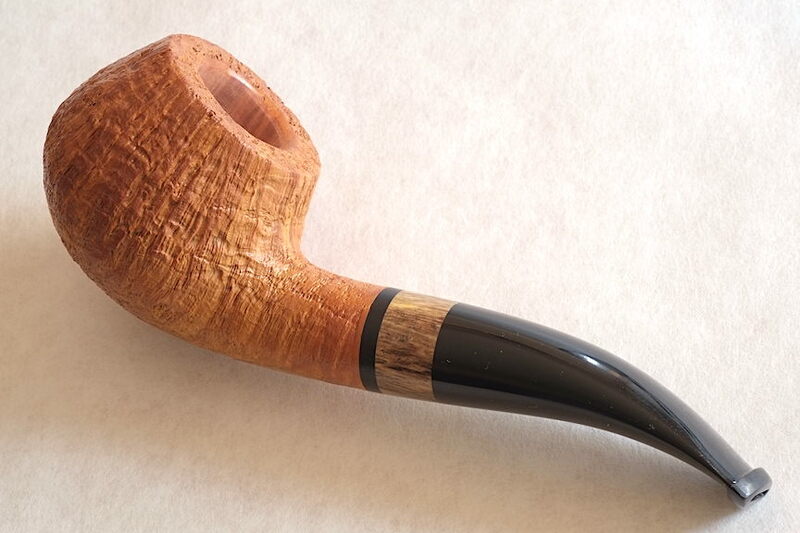 A hobbyist pipe, "Artistic Briar, Burlington, Vermonh"
I posted this in the “Smoking” thread after a bowl of Presbyterian in the Pietenpauw author . . . 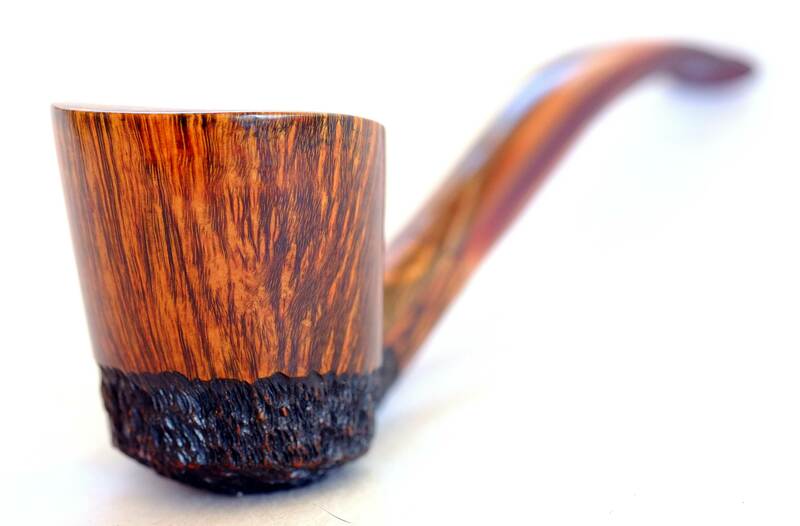 I love this tobacco in this pipe, and I’m especially pleased with how this natural finish pipe is beginning to color-up a bit after a few months of use. Looked like this when it was new . . . 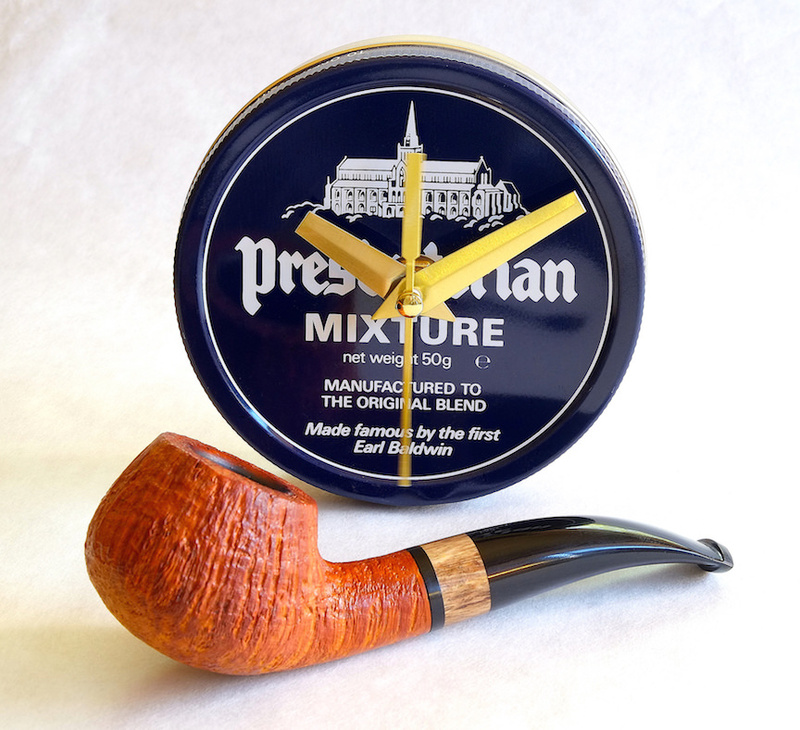 The clockworks in the Presby tin came from eBay and only cost a couple of bucks. It works great! Nice pipe! I remember when you got that commissioned pipe from S. Africa. If you ever want to pass along your Pietenpauw just let me know. It’s become one of my favorites! 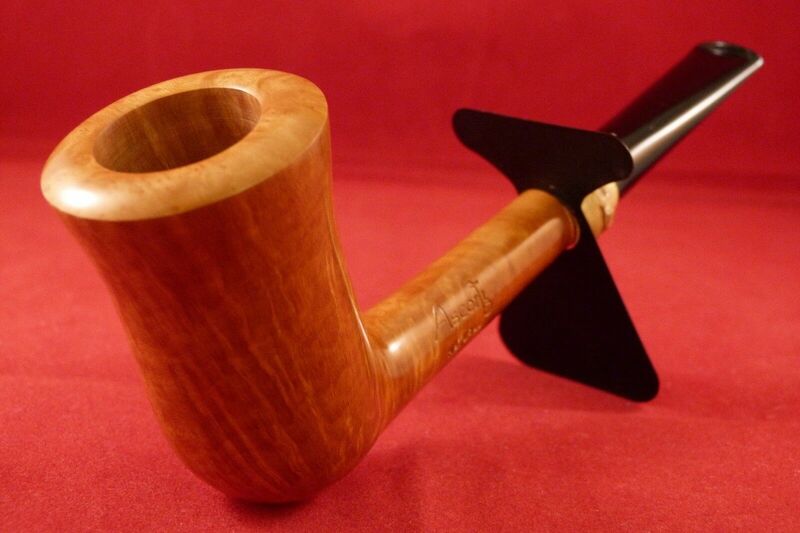 Here's a German made Ingo Garbe 6.6" long Billiard w/ a bowl height of about 2.45". 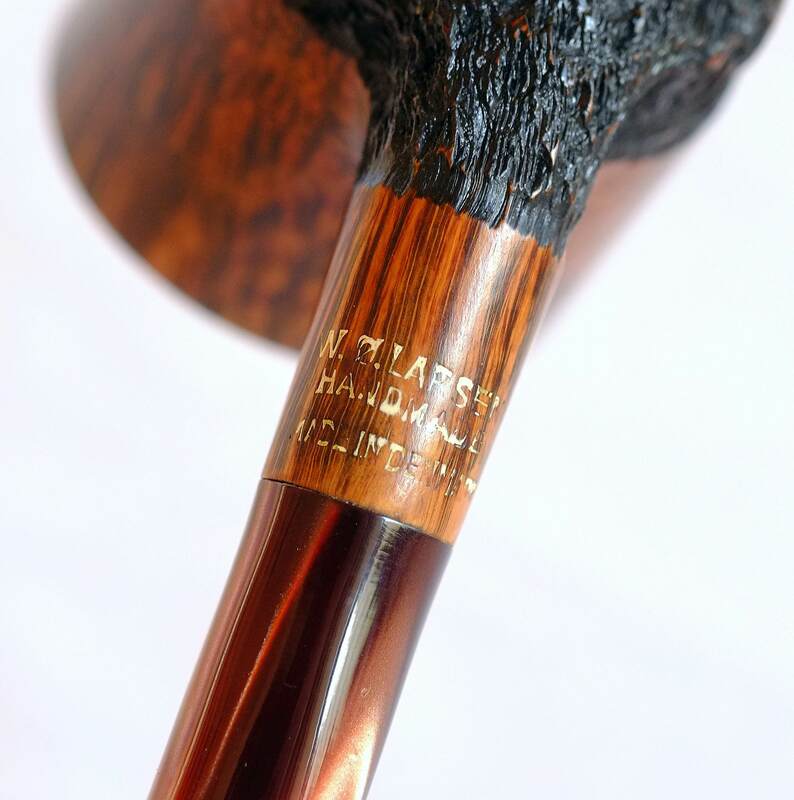 The tobacco chamber is 0.875" in diameter & 2.25" deep. What a handful of pipe!